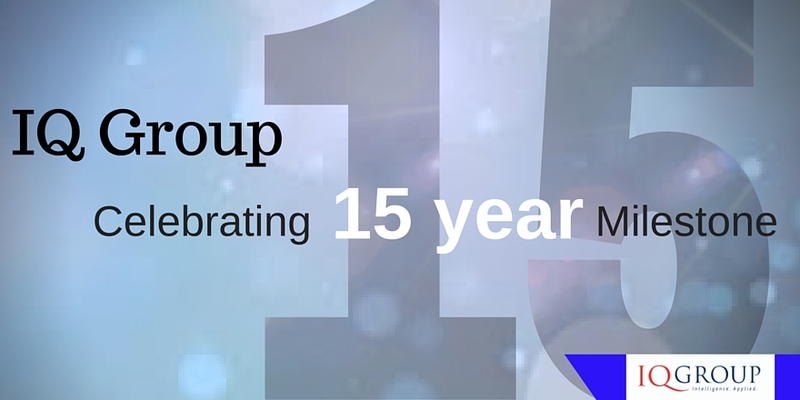 Brian Peters reflects on IQ Group reaching the significant milestone of 15 years in operation, in Australia’s rapidly transforming superannuation and wealth management sector. Created at the turn of the new millennium, IQ Group has evolved through acquisition and organic growth to expand our consulting expertise to now run project teams from Sydney, Melbourne and Brisbane. The last five years – with the overhaul of Australia’s super regime, spearheaded by the SuperStream and Strong Super initiatives – have seen more change than in the previous 30. We owe our position today because of two elements of our culture. The first is the genuine partnerships we have with our clients which lead to two-way flow of ground breaking ideas. The second is IQ Group’s fierce independence and deep industry and technology expertise has been credited with helping clients chart a clear course through the sector’s complex regulatory and technological changes. As an autonomous voice of the industry, IQ Group has been a valued contributor to the development of Australia’s new framework. Our Chair, Graham Sammells’ appointments as Chair of the ASFA e-commerce Committee and to the SuperStream Advisory Council attest to our influence. Many of IQ Group’s initial clients remain committed customers as we play a trusted advisory role, offering solutions that continue to answer the pressing and rapidly changing issues, and exciting opportunities, open to the sector. Reducing churn and costs are ever with us – it’s how we apply our intelligence to help clients deal with them that creates differentiation. Funds will be under increasing pressure, in terms of fees, and as a result will look to optimise their cost structures through better internal systems, the integration of internal organisational services, and as they assess initiatives such as peer to peer services. In the near term, the next 12 to 18 months, we see that the priority placed on digital member engagement starting to reap rewards and industry members coming to grips with the New Payments Platform – their role here and how to optimise opportunities- and the rise of blockchain. Our sector will also undergo a greater focus on insourcing and outsourcing activities. Those transitions will put pressure on the how robust internal processes and systems are, especially concerning the governance of project delivery and associated benefits. The future will be influences by first and second wave digital strategies and that’s going to produce a much more complex system and supplier environment for all parties within the superannuation industry. Success will come to those that integrate efficiently, and keep doing that in a dynamic fashion. Over the next five years or so our sector’s significant re-positioning and change will provide tremendous opportunities. We’re looking forward to helping our clients harness the value inherent in the data that they collect and manage, to generate operational efficiencies and to respond innovatively to change. And, for us, the convergence of regulation and compliance across the broader financial services spectrum, will allow IQ Group to extend our consulting practice into areas such as investment management and life insurance. IQ Group is focused on playing a meaningful role in creating the best possible future for its customers, its people, the company and Australia’s wealth management sector as a whole. We rely on our strong domain expertise in superannuation and wealth. We have a thorough understanding of technology and the way it enables and powers future possibilities. And we acknowledge that robust regulatory change is necessary for any sustainable system. 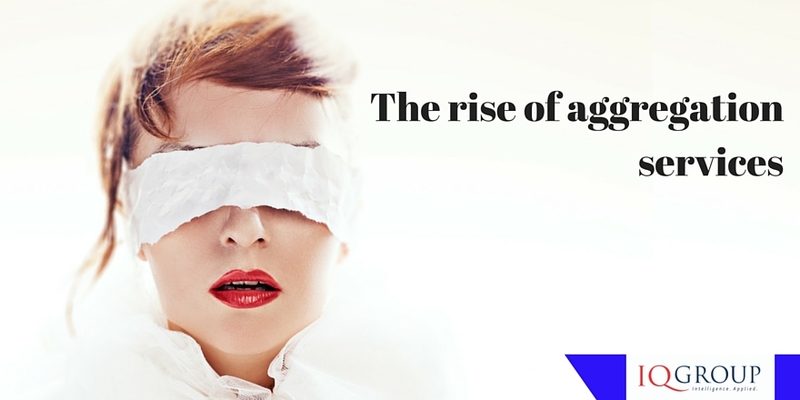 The rise of aggregation services – the risk of a new Ashley Madison? We are currently seeing a raft of digital services launching into the market to better support the financial services products Australian investors rely on to fund their retirement plans. These include financial planning tools, financial calculators, retirement fund projectors and budgeting templates for super funds, savings accounts, credit cards and term deposits to name a few. What this broad range of digital services has then inspired is an increase in digital aggregation services, where a central digital solution can provide a holistic view of a member’s financial position – this is done by providing a snap shot of multiple super funds, bank accounts, credit cards and other financial service information on a single platform. For the super industry this information then becomes a very powerful tool for both members and organisations. The rise of aggregation websites has been a direct response to the growing number of financial products Australians own, and the need for a holistic view of an individual’s financial position. This is something that members are realising they need in order to be able to make informed decisions on their financial future, which includes their superannuation savings. To some extent all of this information has been manually harvested by financial planners in the past. Aggregation services however will allow members to automatically create and view a snapshot of their wealth management in a single site. When all this information is combined with online financial planning tools such as the financial calculators, retirement projectors and budgeting tools we mentioned earlier it is clear that this is something that will potentially benefit, educate and engage members and promote interest in their current and future financial position. Factors such as better member engagement and the increased interest in superannuation, may potentially result in increased contributions, pose a compelling argument for the provision of these services. Not really – we have seen these services provided in other countries, and now the first wave of these services are here. From mint.com in the US to locally available services like getpocketbook these services are now making an appearance in the Australian landscape. These services are now coming into the spotlight as a result of improved technology and the ability to digitally gather this information (previously a manual process), increased product distribution and acquisition (meaning there are a multitude of products readily available to consumers) and the need for individuals to want a consolidated view of all their assets and financial information. The first generation of these services rely on screen scraping technology. The user is required to provide a user id and password for each institution which the service uses to log in to the site posing as the user to extract/scrape the information needed from that institution. Clearly, there are a number of potential risks for the individual, the service provider and the institutions involved. The primary concern from members is that their user ID and passwords are available to another organisation and this poses potential risks. Recently the Ashley Madison scandal proved how easily individuals with their own agenda can target and attack an organisation leaving its users vulnerable and exposed. From this perspective the security levels within screen scraping and aggregative services should be taken into account to ensure that member’s details are protected and their sensitive information is not disclosed to unauthorised third parties, especially where finances are involved. Ron Mullins is the author of the IQ Group Annual Superannuation Industry Digital Engagement Study and is pro-digital services and the agility that they bring to retail, industry and public sector superannuation funds. 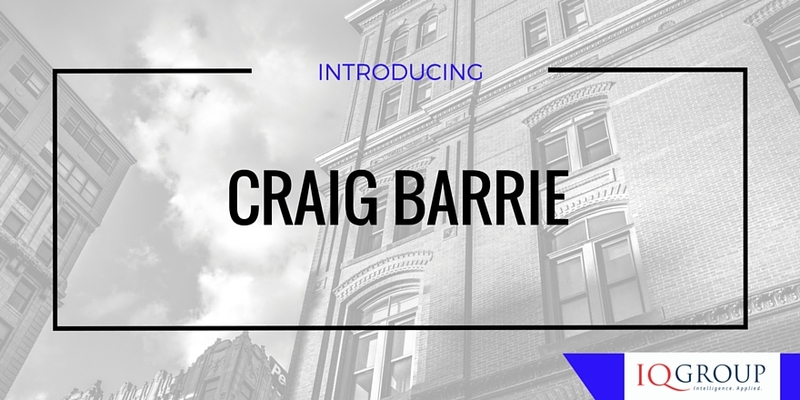 Brian Peters took pleasure in promoting the very talented Craig Barrie to the role of Principal Consultant. Here he explains the potential he sees in this champion of IQ Group’s customer centric culture. And Craig Barrie explains what drives his passion for translating the dual languages of advanced technology and business terminology into customer speak for smoother change transitions. I was delighted to reward the exceptional project delivery talents of Craig Barrie and promote him to the role of Principal Consultant. Craig’s an emotionally intelligent, practical and thorough consultant and this move is well deserved. He’s been with IQ Group for a third of our 15 year history and, as a trusted advisor, Craig’s proven to be a strong champion of our customer centred culture. I’ve watched as he applies his substantial expertise to drive quality outcomes in every project he’s been a contributor to. Craig’s career has focussed on the delivery aspects of project management. This elevation from Senior Consultant will see him widen IQ Group’s comprehensively planned delivery approach and facilitate the transfer of our unprecedented body of knowledge and experience to both our consulting teams across Australia and our customers. Craig is also able to play a greater part within our senior leadership team, and Agility@IQ – the catalyst for change through agile consulting, contracting and research. As Stronger Super and SuperStream implementations continue throughout Australia, our innovative services leverage not only expertise in the industry’s current structural changes but also the growing demand for consulting in areas such as integration and digital engagement with members and employers. And, through his active membership of Superannuation Australia, Craig influences the flow of ideas in our rapidly evolving industry. In taking on his new role, Craig Barrie said: “This promotion gives me the scope to expand my winning formula for ensuring our teams perform beyond basic account management responsibilities to build long lasting relationships with customer organisations. We bring together our consulting teams to create the best fit for not only the customer’s technical requirements but also their business environments. With the right development teams we strive to meet every challenge and project milestone. David Haynes knows that the superannuation funds are conservative investors and with good reason: its members’ money; money that has to be contributed to long-term investments that can’t be accessed until retirement. So when the discussion turns to the role of superannuation investment in ‘innovation’ and, more specifically, start-ups and venture capital, super funds understandably get nervous. This is especially the case when proponents of such investment suggest that super funds should be required to invest. It’s inevitable that super funds will be investing much more in innovative technologies in coming years, but the model for this is still a work in progress. Government support is needed but there’s plenty that funds can be doing now. While the mandating of super funds to invest in innovation is often argued with considerable passion, such advocates are rarely able to explain how the risk/return tradeoff would be sufficiently attractive and appropriately structured to ensure that the best interests of super fund members are looked after. The negatives are not hard to find. Average returns in venture capital are not good, fees and costs can be very high, survival rates are not high and investments in start-ups don’t look like a good risk-adjusted bet. The Australian superannuation system is outgrowing the Australian listed economy. The majority of industries – including financial services – are in the process of being either transformed or eliminated by technological change. 40% of existing jobs may be replaced by automation in the next 10 to 20 years (Ceda: Workforce). The superannuation industry seeks high-returning quality assets in which to invest. There is already over $2 trillion in super, with over $100 billion of contributions and even greater investment earnings growing the system each year. The Deloitte estimate of growth to $7 trillion over the next 15 years is widely accepted. The market capitalisation of the ASX is $1.5 trillion, and its capacity to absorb increased superannuation investment is finite. Funds have the equity alternatives of overseas markets and direct property – with unlisted equities and increased asset flows subsequently going into each class. Super funds will be investing greater proportions of their assets into overseas equities in the interests of greater diversity and in response to Australian capacity constraints. Australian property is also subject to capacity constraints. Unlisted equities are not stock exchange traded and so tend to be less liquid than listed equities. Their operations and pricing can be less transparent and so can present both quality and risk issues. On the other hand, unlisted equities play a role in ensuring super funds have a well-balanced and diversified investment portfolio. All of this mean that superfunds will be making larger investments into innovation. The question is how and when? Access to capital has been identified as a barrier to innovation but super funds would love to invest in venture capital and start-ups that meet their return and risk requirements. A holistic solution to super fund investment in innovation has not yet been fully described – although we now have the foundations growing from the Financial System Inquiry and the clarification of taxation issues in the Turnbull Government’s innovation statement. The FSI addressed how financial institutions can harness innovation to make themselves more efficient (more on this below) but did not cover innovation as an investment opportunity, other than suggesting public-private collaboration committee, so we have to look elsewhere. What the FSI did do was make a number of important technology recommendations on technological neutrality and digital identity. The answer might be found in how super funds have approached investment in infrastructure. Many of the barriers to investment in infrastructure are now being faced as barriers to innovation investment (e.g., liquidity). According to the ASFA’s 2014 report to the Productivity Commission, Australian superannuation funds hold around $63 billion in infrastructure. This is, on average, 5% of their total assets in infrastructure, compared to less than 1% in the rest of the world. Within private equity, there should be a clearly identified asset class for start-ups and venture capital. Every observer notes that Australia’s world-class research stumbles at the commercialisation stage. So large research-focused corporations could be given incentives to drive investments in start-ups, thus providing a sounder basis for super fund investment. Choice of Fund means that super funds have to be able to transfer super to another fund at a member’s request and SuperStream means these have to be processed within three days. Encouragement could be given for particular superannuation products, where members don’t have immediate access to their superannuation, but have greater access to higher-performing unlisted assets, such as those with higher levels of innovative investments). Regulatory support could also be given for the establishment of secondary markets, supporting the trade in unlisted assets.